For international sales, please email me. 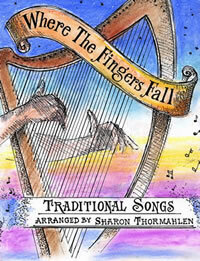 This is a book of traditional songs that Sharon arranged for the harp. Again, it's suitable for beginners and intermediate players. Songs include Blind Mary, Childgrove (1 lever change), Far From Home, French An Dro, Grandfather's Clock, Planxty George Brabazon, Swedish Music Box, Kitty McGee, Morgan Magan, O'Carolan's Draught, The Parting Glass, The Ashgrove, Waltzing Matilda, and Simple Gifts. The book is $15. Now available with an audio CDaccompaniment ($5). 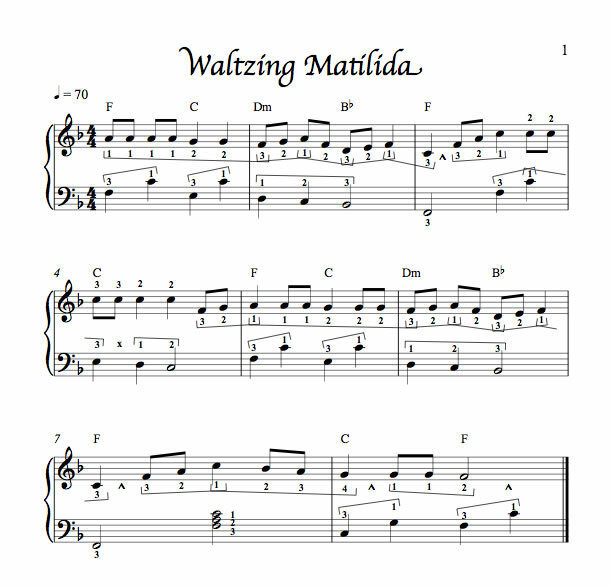 My top three favorites from “Where the Fingers Fall” are Childgrove, French An Dro, and The Ashgrove (which, as far as I’m concerned, is the best arrangement of this traditional tune that I have come across so far). When I was young, I had some sort of toy, I can’t even remember what it was, that played the tune of Grandfather Clock. I had forgotten all about it, but as soon as I started playing it from your book, the tune came back to me as if I had just heard it yesterday. Thank you for that bit of nostalgia. Where the Fingers Fall is one of my favorite books of harp music and is one that I will automatically grab when I just want to play beautiful, relaxing music. I started playing lever harp when I was twelve years old and have been playing and performing for almost four years. I have played for weddings, anniversary parties, funerals, luncheons for PEO Women's Sorority, and the Temecula Valley Women's Club Holiday Home Tour...and almost everywhere I play I play songs from your book. I just had to write to tell you that I'm totally 'enchanted' with Childgrove. The Night Sky is also a favourite, as well as Gossamer Gate and the Van Gogh one It's just so wonderful, as I work my way through my folder, how my heart smiles when these favourites come up and I have a hard time stopping playing. My practices are turning into 1-2 hours simply because I have such lovely music to play. All of my books are available through Thormahlen Harps. For direct orders (not using Paypal), please send the listed price per songbook plus $4 shipping for 1 item, add $2 shipping for the next item and $1 for every additional item after that. Send your order to Thormahlen Harps, 1876 SW Brooklane, Corvallis, OR 97333. Or call us at 541-753-4334 for Visa, MasterCard or Discover purchases. Shipping costs are slightly different when ordering through Paypal.